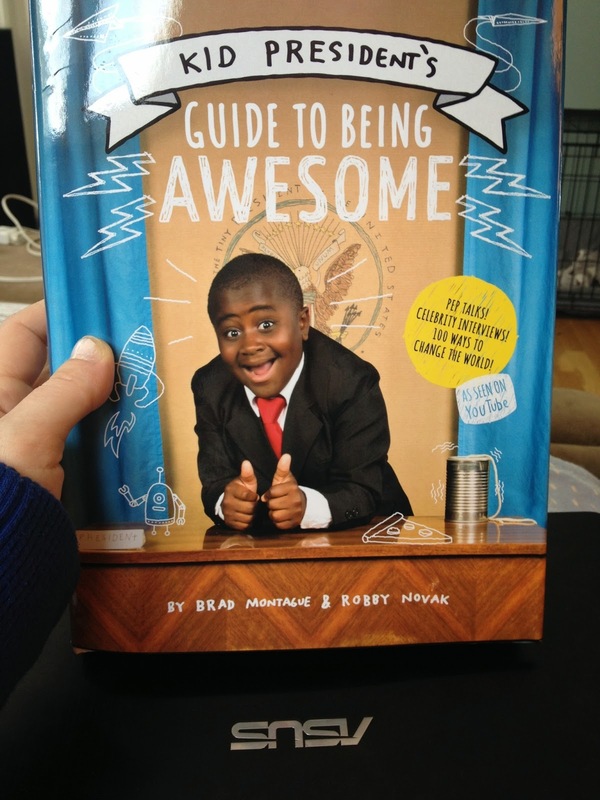 I'm a huge fan of Kid President so when his new book came out, I was waiting for Barnes and Noble to open. What I didn't know about Robby Novak is that he has Brittle Bone Disease. He has had over 70 breaks since his birth and several major surgeries. Through it all, he lives life to the fullest and.....dances. Join the movement for awesome! Use the book as a classroom tool to help make the world a little brighter. You can download the Teacher's Manual here. When our field trip was cancelled due to snow the morning of our scheduled trip we needed some cheering up. 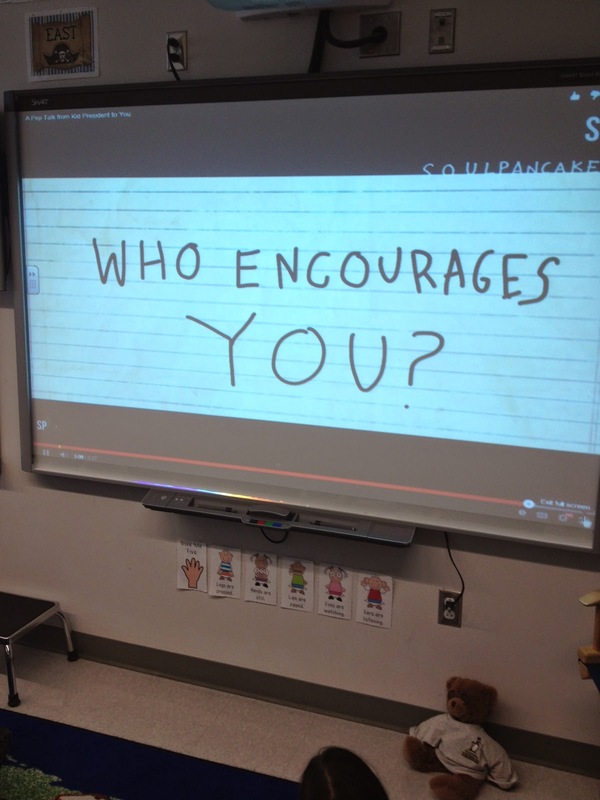 Kid President came to the rescue with his infamous Pep talk. 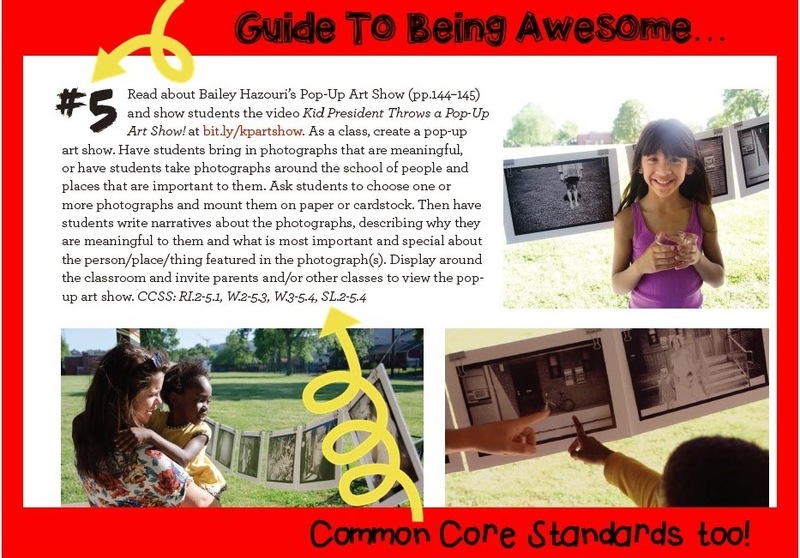 My favorite idea from the book (#60) on how to be awesome is to throw a pop-up art show. This is an excerpt from the Teacher's Manual you can download for free here. This is where things get interesting. Have you ever thought about things from the perspective of a child? This is what Tyler had to say about these photos. 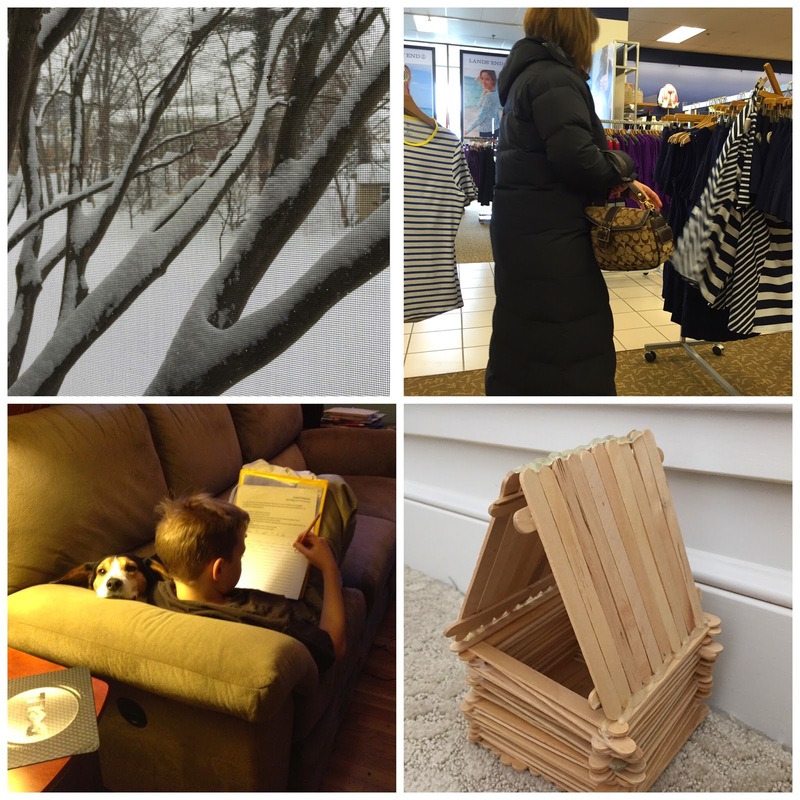 Top left: We have had set records in Massachusetts this month with our snowfall. Tyler took this picture from our screened in porch. He said the snow makes you feel trapped sometimes. Top right: That's me. Shopping for a bathing suit. In February. Kill me now. I asked him why he took this and he said "You told me to take pictures of beautiful things." Wow! He is going to make a great husband someday. Well...once he learns how to make his bed and clean up his room. Bottom left: This is his brother doing homework and our dog Bentley just wanted some cuddles. Very simply put- beautiful. Bottom right: Tyler made this popsicle house when he was in kindergarten for the 100th day of school. Ty says its beautiful because it shows his hard work. My take away is: I am definitely going to do this with my students! How fun, motivational and inspiring!!! Imagine if we gave kids a camera and they showed us life from their perspective, what awesomeness they could show us? For me, it's my son, my students, my husband and my dear blogger friends Amy, Lisa, and Marissa. How about you?